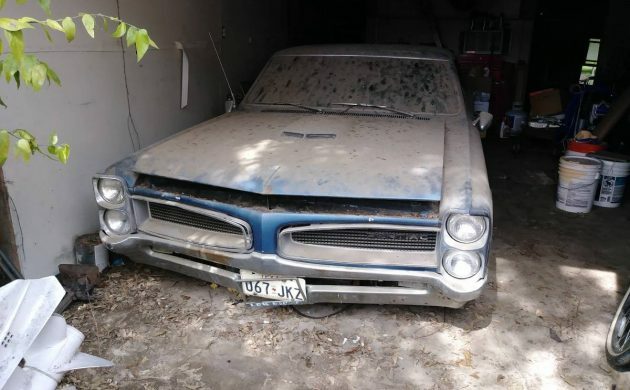 This Pontiac LeMans had been in the same family for 50 years until it was recently unearthed. The current owner has decided to sell it, and you will find it listed for sale here on Craigslist. The car is located in Kingsbury, Texas, and is offered with a clean title. The owner has set a price of $3,500 for this Pontiac. Your eyes aren’t deceiving you on this Pontiac. It definitely is sitting low. Apparently, the car was built as a low-rider at some stage in the 1970s, and all of the associated hydraulics are still present on the vehicle. Just how serviceable these are today is an open question. 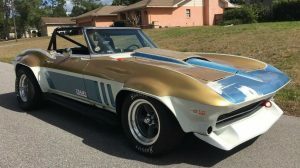 The seller says that the car will need a complete restoration. It looks like there have been some sort of repairs performed on the doors and lower quarter panels, but there isn’t a lot more that we can deduce, as both the photos and description are quite lacking. If the first photo is an indication of the storage conditions that the car has endured for the last few years, then it looks like it has been in a fairly dry environment. Hopefully, this means that the frame is solid. The interior is definitely going to require restoration, but it does seem to be complete. All of the upholstered surfaces are going to need re-upholstering, and the dash pad is definitely beyond help. There is an aftermarket radio/cassette in the dash, but it doesn’t look like the dash has been cut to fit it. The floor console is present, and it looks like it is in pretty good repair. The mysteries of this car stretch as far as the drive-train. The owner believes that the engine is a 400ci V8 and that it is backed by a standard 3-speed manual transmission. However, he is not certain of these facts. He also doesn’t indicate whether the engine turns freely, or whether it is locked. Keep your fingers crossed. This is an interesting one, and I’m going to be interested in reading the feedback from our Barn Finders on it. There are a few things to consider on this car. Is it worth the asking price? 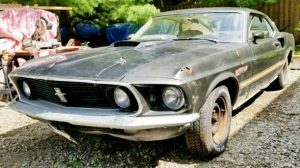 Is it a viable restoration? if you were to take it on, would you refit the standard suspension, or would you get the hydraulics back up and working? My philosophy is do the hard stuff first and get it out of the way. That means under carriage first then engine trans ( replace with five speed ). I’d put the suspension back to stock then move on to rust repair. I’d then address the interior and finally I’d do the paint work last. 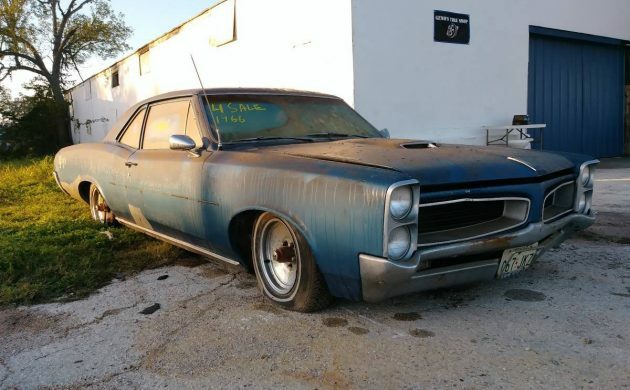 By the time your done restoring this you’ll have at least $35k into it and that’s doing the work yourself. When your done this would be a very cool old sled, nice find. $35k if you do the work yourself? That’s ridiculous, unless you’re figuring your own time. You forget I live in canada the land of higher prices and way more taxes on everything. If it were up here a lot of what would be needed would still come out of the US where the exchange rate is not in our favor plus shipping plus duty, it doesn’t take long to add up all the extra charges you folks aren’t paying south of the boarder. There will be nothing that will be cheap. And this car needs everything. That’s my perspective. Example I looked at a rear fender for my dodge a used one was $160.00 Us add 25% for exchange rate puts it at $200.00 Canadian plus duty let’s say another $30.00 then there’s shipping of $100.00 so by the time that fender was going to be at my door it was going to cost $330.00 and it still needs to be restored. 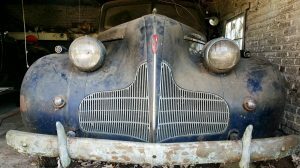 Good luck finding a fender for a 1951 dodge up in Canada where most of the old bone yards are long gone. This is why I said what I said. So maybe from your perspective that number is high but unless your a real good scrounger your going to pay pay pay. Wow. I had no idea the hobby was so expensive in Canada. My respect to our neighbors up north! So I guess the health care isn’t free? Super, nothing is free. We pay tax on everything up here, but it’s still a great place to live! Put the original springs under it…. Now time to throw the gas tank away and put all new fuel and brake lines and get a set of new tires…new battery and drive to dmv.. Enjoy!!!! It’s a manual with a cool console . be proud! No BS goat 🐐 labels please!! Likely a 326 and not a 400? I agree most likely the 326, my parents bought a new 67 Lemans for mom and the standard v8 was the 326. Hers was a automatic. If I were to be interested in buying this one it would definitely go back to stock. 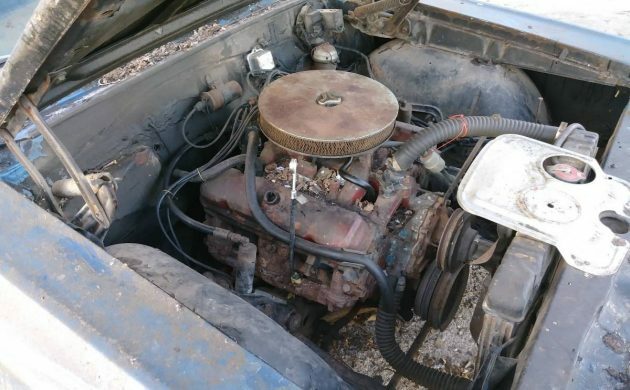 Correct me if I’m wrong, but the Pontiac 400 engine didn’t even come out until 1967? It would have definitely had the 326 if they opted for a V8 that year. I suppose it could be a non-numbers matching transplant, and with a 3 speed stick would be a ton of fun. Since the seller doesn’t share a pic of the data tag, who knows! Personally, I’d restore the suspension back to stock. 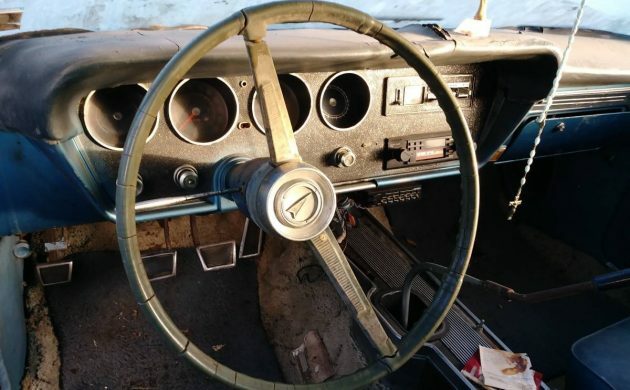 Needs a fair amount of work, but with more info from the seller could be worth it. Did it flood in that part of Texas from the hurricane? 326 was a good engine. A well-built one can be as peppy as a 350, if done right. At least this beast has 3 pedals:) Sure wish I could…. The low ride community is awesome, not my cup of tea but you got to love there enthusiasm. This car is worrh preserving as is. You don’t buy a tbucket to return to stock. Go whith what the builder of this car strated and resurrect this cool ride. It looks good low. I had a 1967 Tempest that had a 326 four speed in it. It surprised a lot of GTOs and other big block vehicles in its time. It was the exact same body as this one. It came from the factory with the 326 and three on the tree. That car would fly and handled like a dream. The suspension had been beefed up just enough to take the factory slop out of it. That may well be a 326 in this one too. They were a good strong motor from the factory pretty much equivalent to the GM 327s. When I returned from my all expense paid vacation in S. E. Asia I bought a ’66 Cutlass. I’m still a fan of ’66/7 GM midsize cars, to my eye they each are beautiful when done well. This one could be a very nice street machine, mild mods, good performance, and clean/stylish. The argument about the engine can only be solved in person. Yes, 326 would be O.E. but this thing has been modified a fair bit. 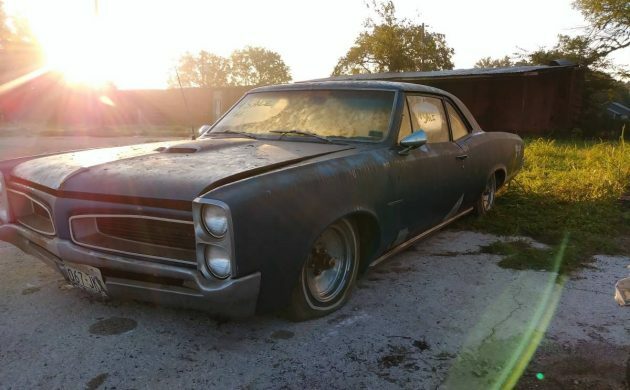 It’s got a GTO hood, so it’s possible the same donor of that could have coughed up an engine too. My approach would be similar to Mark in Canada. These are notorious for heavy rust at the base of the back glass, so that would be my first check (well, after title check), then on to the rest of the body. Next would be to see if the hydraulic suspension install was a hack job, or if there were a chance to salvage the suspension points for a return to stockish configuration. Then on to all the rest of the normal evaluation things. I suspect there’s not a single component of this car that doesn’t need attention to make it nice to my tastes. I love guys who put “firm” in reference to their price…………it cuts down the competition. 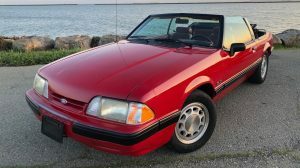 If I REALLY wanted this one I’d work to establish rapport with the seller, tell him I want the car but it needs even more than I expected from the pics (they always do), make my offer and then give him my card if he demurs. Tell him I respect his effort to get his price, but if it doesn’t work that way my offer stands for two weeks because by then I will have found my next project elsewhere. Half the time that works, and at this low a number it’s not about looking to make a profit, it’s to minimize how much you cost yourself when you move on from this one. This is the car I used to learned to drive, but it had the Pontiac powerglide and the standard 326. My dad bought it because it was invisibly common and he was a serious speeder to get to the ER regularly as a doctor. It sat a little higher because he ordered it with the heavy duty suspension. It was leaking water into the rear window when it was a few years old, and rusted too quickly or he would have had it years longer. My sister got it and drove it another decade. This one is a huge project. If I wanted one I couldn’t start with this as it’s too far gone for me. My nearby cousin bought a torquoise one in almost perfect shape a few years ago for $8k. That two speed auto in those sixties A body Pontiacs is not a Powerglide. It is a Super Turbine 300. Pontiac only used it for about four years. In order to replace the suspension back to original you will have to find a new frame and replace Lot of floor. What a Lot of people don’t know if the beating this cars take with hydraulics, almost everything will be loose in this can and the engine will most definetly have bad bearings at least. The body will be bent from all the jumping. If restored it will have to be for love not proffer. I have a full interior to a 66 GTO, minus carpet. My cat went up in flames when the body shop burnt to the ground. Make me an offer.